Samuel S. Sadler III is a fourth generation to Mount Dora. Dr. O. W. Sadler moved to Mount Dora in 1892. The Sadler's were one of the first pioneer families to settle in this beautiful area of Florida. Dr. Sadler installed the first communication line known as the “telephone” from his residence on Highland Street to the Seaboard Coastline Railway Station, now known as the Chamber of Commerce Building. A vacation paradise located on the ocean in the little town of Palm Beach Shores, Florida on beautiful Singer Island... just across the Inlet from Palm Beach. 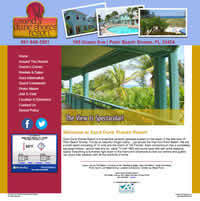 We are a small resort consisting of 18 units and the charm of “old Florida”. 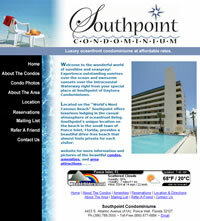 Each condominium is completely equipped, some have lofts with extra sleeping space. Everything is furnished right down to the linens and silverware so that our guests can enjoy themselves with all the comforts of home! You won’t find a better family vacation location (or value) than Treasure Island, Florida with tons of family fun in the Tampa Bay and St. Petersburg areas nearby. You’ll want to come back year after year! 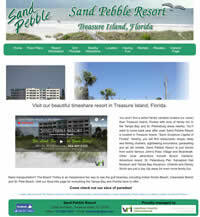 Sand Pebble Resort is located in Treasure Island, “Sand Sculpture Capital of Florida”. Just blocks from world famous John’s Pass Village and Boardwalk. 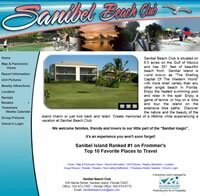 Sanibel Beach Club is situated on 6.3 acres on the Gulf of Mexico. Its white sand beach is part of one of the finest shelling beaches in the world. Relax, kick back with a good book, comb the beach in search of the rare and elusive Junonia shell, or bait up your fishing pole and enjoy the Gulf waters teeming with sea life. It's an experience you won't soon forget. Provide uniform security guards to government, commercial and private sectors. 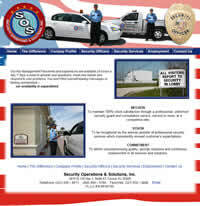 Perform entry control, surveillance and vehicle patrol duties with armed and unarmed personnel. 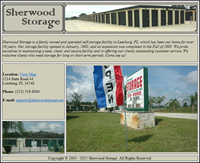 Our storage facility opened in January, 2003, and an expansion was completed in the Fall of 2005. We pride ourselves in maintaining a neat, clean, and secure facility and in offering our clients outstanding customer service. We welcome clients who need storage for long or short term periods. Come see us! Our concept of teamwork and cooperation will translate into effective budget schedules and efficient construction to meet all of your goals. Whether it's constructing a new structure for your business, a new sanctuary for your church, or your first home to your last, we are committed to meeting your every expectation. Skybolt is a top supplier of quick release fasteners and installation tooling for the Aircraft, Aerospace, and Motor Sports industries. 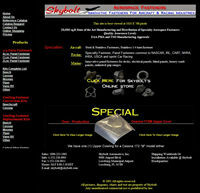 Skybolt Aeromotive Inc. also manufactures cowlings for your cessna aircraft. Certified DuPont Corian fabricator and installer. Kitchen counter tops, bathroom vanity tops, accessories, and table tops. For residential or commercial. 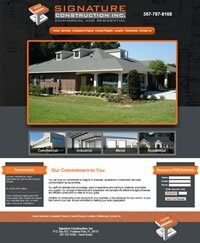 New construction, replacement or remodeling. Florida's finest commercial building contractors and architects have been relying on the acoustic expertise of Southern Acoustics Inc. since 1988. They have experienced the levels of professionalism and team orientation that are key to successful completion of every project. 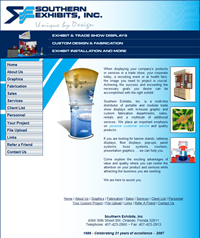 A multi-line distributor of portable and modular trade show displays with in-house graphic and custom fabrication departments, sales, rentals and a multitude of additional services. 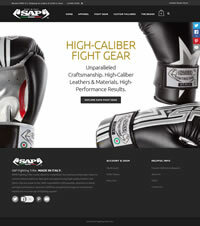 We place an important emphasis on personal customer service and quality products. If you are looking for banner stands, tabletop displays, floor displays, pop-ups, panel systems, truss systems, counters, presentation graphics ... we can help you. Located on the World’s Most Famous Beach, Southpoint offers luxurious lodging in the casual atmosphere of oceanfront living. Southpoint’s unique location on the beach in the small town of Ponce Inlet, Florida, provides a beautiful drive-free beach that almost feels private for each visitor. This is a Church on fire to serve generations with Christ's passionate love. 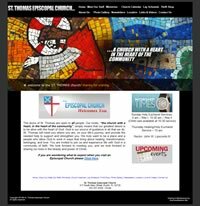 Together we are disciples of Jesus Christ in the Wesleyan tradition called to participate in God's saving work in the world. 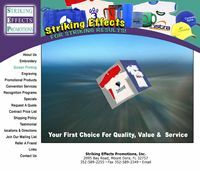 Striking Effects Promotions provide custom embroidery and screen printing on corporate apparel, engraving and sand carving for personalized gifts, advertising specialties, and promotional products for trade shows and conventions. Moving heavy haul equipment requires special equipment and experience. Sturgill Heavy Haul specializes in large loads; cranes, wheel loaders, dozers, and tractors are just a few examples. If you have Oversized, Wide Load and Over Dimensional Freight, call today! 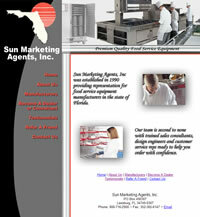 Providing representation for food service equipment manufacturers in the state of Florida. Representing quality manufacturers including American Panel Corporation, The Montague Company, Intermetro, and Stero to name a few. We’re consistently adding manufacturers, dealers, and consultants, with our corporate office centrally located in Leesburg, FL. 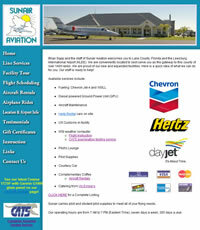 Brian Sapp and the staff of Sunair Aviation welcomes you to Lake County, Florida and the Leesburg International Airport (KLEE). We are conveniently located to best serve you as the gateway to this county of over 1400 lakes. We are proud of our new and expanded facilities. 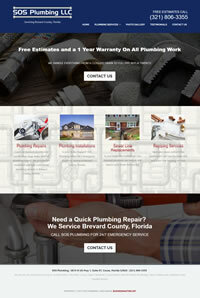 Here is a quick idea of what we can do for you. Our staff is ready to help! National and regional commercial contractors rely on Sunbelt's expertise, innovation and dependable service for their most prestigious projects, and have been doing that for over 25 years. 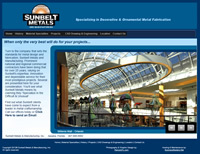 Sunbelt Metals sets the standard for metal design and fabrication. Memories of Florida... Sandy beaches and seashells, swaying palms and golden citrus picked right from the tree and eaten out of hand. 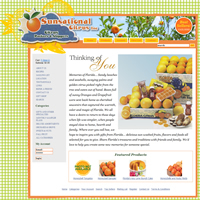 Boxes full of sunny Oranges and Grapefruit were sent back home as cherished souvenirs that captured the warmth, color and magic of Florida. We all have a desire to return to those days when life was simpler, when people stayed close to home, hearth and family. Where ever you call hoe, we hope to inspire you with gifts from Florida... delicious sun-washed fruits! James Conner particularly enjoyed a low and steady cook on the smoker. A trademark of his meats was his homemade mustard sauce. His grandson Matt, with his wife Amy, moved to Southern California and have tweaked it some. 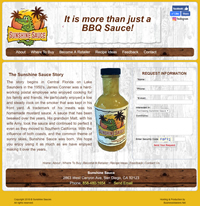 With the influence of both coasts, and the common theme of sunny skies, Sunshine Sauce was born. We are the premiere yacht and houseboat brokerage in the Kentucky, Tennessee and Ohio area, we can assist you in the sale of your pre-owned yacht or houseboat and in building the new custom houseboat of your dreams. 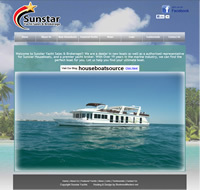 We are the only full service brokerage in our area. We offer our clients a brokerage second to none, a full service boat detailing department, service and winterization and houseboat transport by water or road on any houseboat up to 130’. We can assist you in your purchase of an existing coastal yacht, and in building a custom yacht that will meet your needs. Whether it is to use as a floating condo, to travel and explore the Florida waterways, or a private, luxurious getaway, the only real question is where can your yacht take you?